Gleaners rummages through the Active Crossover: Mooste archive, gathering together the vestiges of our collective and disparate scurryings around the landscape. By allowing the background to almost free itself from the foreground and refusing to differentiate between incident, accident and intent, the various fragments have coalesced (with furtive guidance) into a form (in)determined by which of the residual pieces settled, and where they landed; and which pieces simply disappeared. All sounds have been extracted from recordings by or featuring: Tuulikki Bartosik, Fernando Godoy, Evelyn Grzinich, John Grzinich, Jim Haynes, Park Jin-Young, Rostislav Rekuta, Yiorgis Sakellariou, Dawn Scarfe, Maksims Shentelevs, Eamon Sprod, Taavi Suisalu, Arlene Tucker, Simon Whetham, James Wyness. Tarab explores re-contextualised collected sounds and tactile gestures formed into dynamic, psycho-geographical compositions inspired by discarded things, found things, crawling around in the dirt, junk, the ground, rocks, dust, wind, walking aimlessly, scratchy things, decay and most if not all the things he hears and sees. 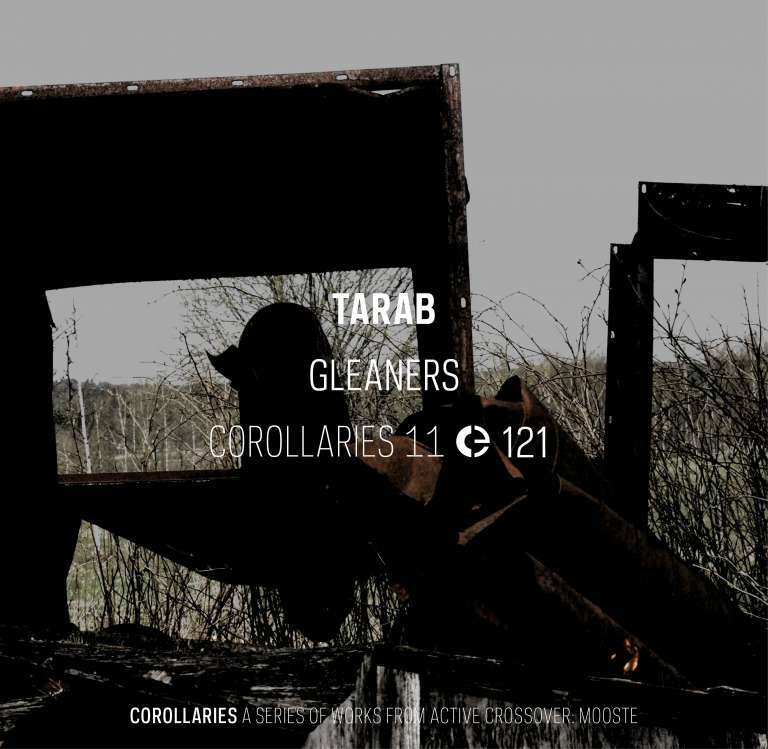 More than simply documenting a given site, Tarab is interested in a direct engagement with our surrounds, teasing out half narratives, visceral sensation, false leads and heightened awareness. This is the eleventh release in the series Corollaries, that compiles works resulting from Active Crossover: Mooste, a cross-cultural collaborative residency curated by Simon Whetham and hosted by MoKS, in April and May 2015. All works are composed from material compiled in a collective archive during the project.